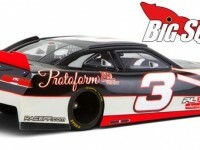 NASCAR « Big Squid RC – RC Car and Truck News, Reviews, Videos, and More! You are browsing the "NASCAR" tag archive. 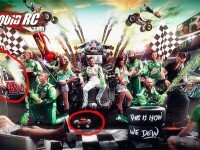 Dale Earnhardt Jr. Mountain Dew Commercial with RC! So I have seen the Living Portrait of Dale Earnhardt Jr. Mountain Dew commercial a ton of times, but just caught towards the end that he’s driving an RC NASCAR Monster Truck around! Got to love more RC on TV! Check out the video below:Need to see more RC On TV finds? Click the link. Here’s a pretty killer piece of RC on TV! 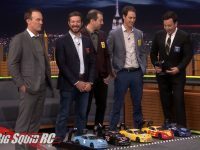 The Fox NASCAR crew and Tony Stewart got a chance to feel out the new Daytona asphalt using a Traxxas Slash earlier this year. Pretty awesome to see my boy Smoke holding a piece of Traxxas weaponry. Check out the video after the break!